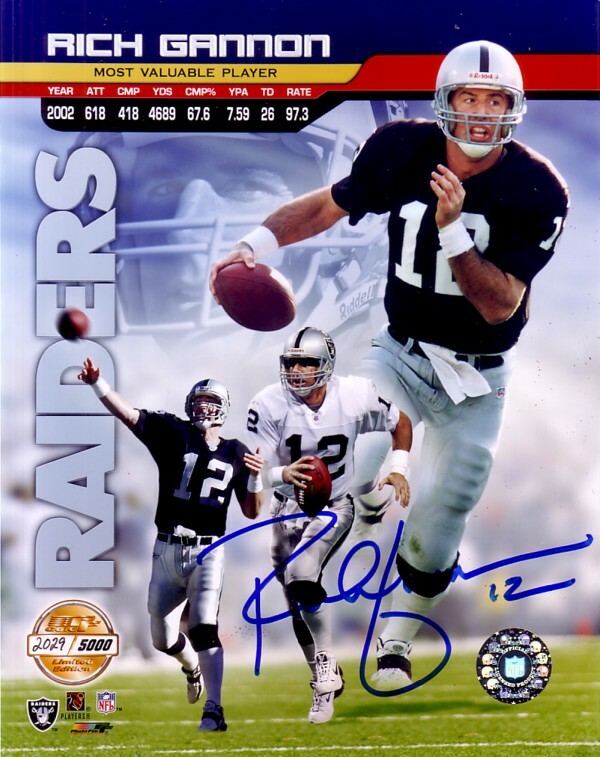 2002 Most Valuable Player commemorative 8x10 photo of former Oakland Raiders star quarterback Rich Gannon, autographed in blue marker. Obtained in person. With certificate of authenticity from AutographsForSale.com.